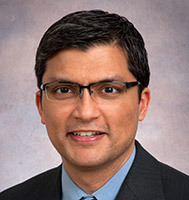 Dr. Ahmed specializes in pediatric and congenital neurosurgery, pediatric epilepsy, laser thermal ablation, brain tumors, craniofacial disorders, Chiari malformations and craniocervical anomalies. Neurosurgery, University of Iowa Hospitals and Clinics, Iowa City, IA. Dr. Ahmed's research focuses on the surgical management of epilepsy and pediatric congenital spinal disorders.